The Nationwide Building Society has branches throughout the UK, the Personal Banking team, based in our local headquarters in Dunfermline are planning to climb Ben Nevis in order to help us place a vein finder into another local hospital. One member of the 12 strong team, Erin, went to school with Christopher and therefore nominated The Cookie Jar Foundation to her team mates. We are looking forward to bringing more updates about their fundraising efforts as the year goes on leading up the the be climb in August. Maclay Murray & Spens LLP is one of the UK’s leading commercial law firms and one of Scotland’s ‘Big Four’, with offices in Edinburgh, London and Aberdeen and headquartered in Glasgow. The Cookie Jar Foundation were their charity of the year for mid-2014 to mid 2015. The Five Ferries cycle challenge was organised by Edinburgh Solicitors firm, Maclay Murray & Spens. The Five Ferries Sponsored Cycle took place on Saturday 30th May with a mixed group of 25 participants from MMS family and friends and cyclists from #TeamCookie. The M&S Kirkcaldy store raised funds for The Cookie Jar over the course of a year, which amount to a massive £5,268.21. The staff within the store came up with great ideas throughout the year to fund-raise and participated in our annual cycle event. 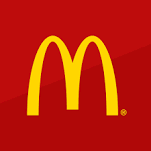 McDonald’s is the world’s largest chain of hamburger fast food restaurants, serving around 68 million customers daily in 119 countries across 35,000 outlets. McDonald’s Meadowbank, Edinburgh held a weekend long Charity Event for The Cookie Jar. Organised by Business Manager, John Barr. The staff and customers raised £500 with a range of activities including face painting and guess the number of sweets in the jar. The event was also attended by special guests dressed as some of the kids favorite characters. 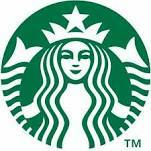 The Starbucks Corporation is the largest coffeehouse company in the world. The chain was founded in Seattle, Washington in 1977. The Dunfermline store nominated The Cookie Jar Foundation to take part in their annual #redcupcheer campaign sponsored by neighbourly.com. 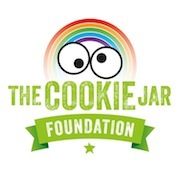 This has grown into a partnership in which Starbucks have taken an active role in raising awareness of The Cookie Jar Foundation within the local community. We look forward to working with Starbucks on future events in the Dunfermline community. 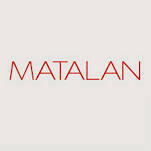 Matalan is a British fashion and homeware retailer based in Knowsley, United Kingdom. In 1985, it was established by John Hargreaves. Matalan based in Carnegie Retail Park, Dunfermline have nominated us as their charity of the month throughout December. During this time they will be hosting a sponsored cycle based within the store covering 244 miles, which equates to the distance from their Dunfermline store to Matalan HQ. The staff will be raising awareness for us through promotional items in store.